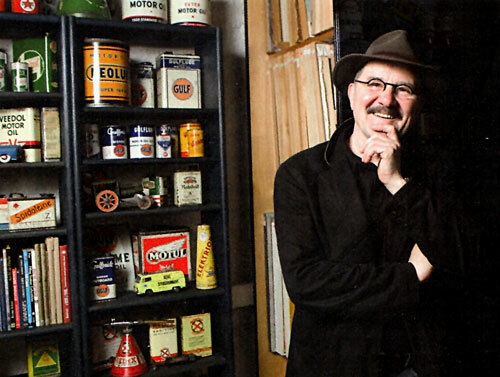 Luxembourg-based abstract painter Robert Brandy (Motoring art, March '01) is fascinated by the colours he finds in old oil cans and enamel signs. 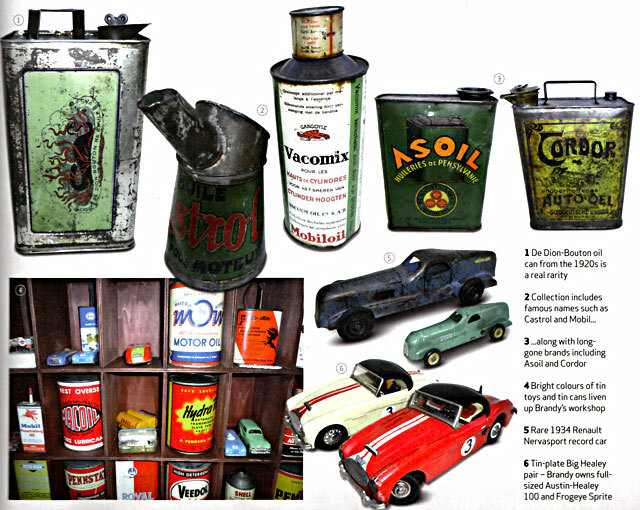 The wide walls of his workshop are decorated with hundreds of cans, from rare '20s De Dion-Bouton items to favourites from Shell and BP, and through his collection he can follow design changes over the past century. In a world where only the biggest firms survive, few today realise how many little oil manufacturers have supplied the golden liquid that keeps the motor industry running. Almost every country and every region had countless local producers, with long-lost names such as Macoil, Diamond, Cordor, Dixon, Spidoléine, Standoleïne or Asoil. 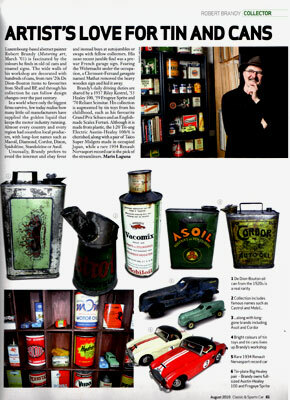 and instead buys at autojumbles or swaps with fellow collectors. His most recent jumble find was a pre­war French garage sign. Fearing the Wehrmacht under the occupation, a Clermont-Ferrand garagiste named Mathat removed the heavy wooden sign and hid it away.